Can you believe that we are almost at the end of February already? Well the end of the month means time to choose my favourite book again. I was actually given a Waterstones voucher for my birthday so I decided to buy a couple of novels that I've had recommend to me time and time again. 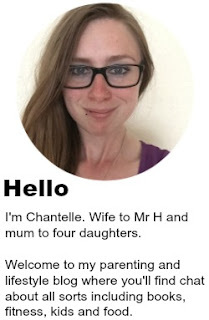 One of those happened to be Elizabeth Is Missing by Emma Healey. Maud is forgetful. She make a cup of tea and doesn't remember to drink it. She goes to the shops and forgets why she went. Sometimes her home is unrecognisable - or her daughter Helen seems a total stranger. Because somewhere in Maud's damaged mind lies the answer to an unsolved seventy year old mystery. One everyone has forgotten about. Now I'm a forgetful person, there have been many times when I have walked into a room and completely forgotten why I've stepped in there in the first place. 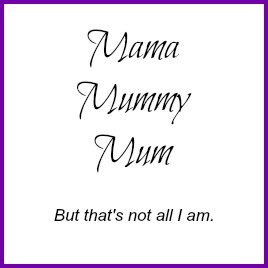 I've been known to go shopping and to come home without the one thing that I really needed but these moments are fleeting, I cannot even begin to imagine how a woman such of Maud must feel not knowing where she is, not recognising even the closest of families. I begin to sympathise with Maud almost instantly because my husband's late Nan suffered with dementia and my own Nana is begin to lose a lot of her memory, asking me a question and asking it again only moments later. They bring you up telling you not to talk to strangers but at times Maud herself feels like this is exactly what she is doing, even when it is her own daughter or grand daughter trying to have a conversation with her. What I find interesting is how they manage to recall moments, memories from way back in their past yet they can't remember what they were doing meer seconds ago and this is Maud's character to a T and Emma writes in a way that you can feel just how frustrated Maud must be with her situation, muddling memories from the past with ones that are happening here and now, nothing quite as clear as it used to be anymore. There is quite a big twist within this story but it isn't one that happens nearer the end, it is cleverly weaved throughout the chapters, making you think, keeping you more than interested. You would think the novel is all about this Elizabeth person but it becomes so much more than that. Switching between Maud as a young girl, her looking back on past events and then coming back to what she is dealing with in present times, it becomes quite fascinating just how everything manages to fit together. 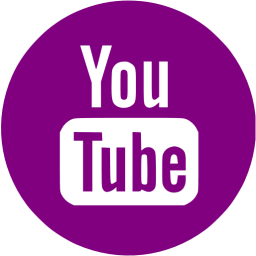 Maud becomes a heroine in her own right. As the story progressed I think Maud became more and more endearing to me, I wouldn't mind her being my nan to look after. Somewhat dark at times, this book manages to cross genres, I'd like to say it is a crime novel but the words on the pages are so much more than that. 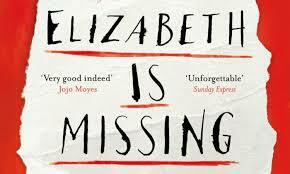 I won't give anything away but I'll say this, Elizabeth Is Missing for a debut novel is a real breath of fresh air. Emotional and utterly touching, mysterious and haunting, it grips you right from the first page and stays with you long after you finish reading it. This sounds like a great read. I was also given a waterstones gift voucher for my birthday and I am looking forward to browsing through the shelves. 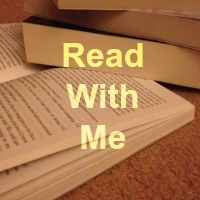 ooo I am in need of a new read, although crime-y types arent usually what I go for!